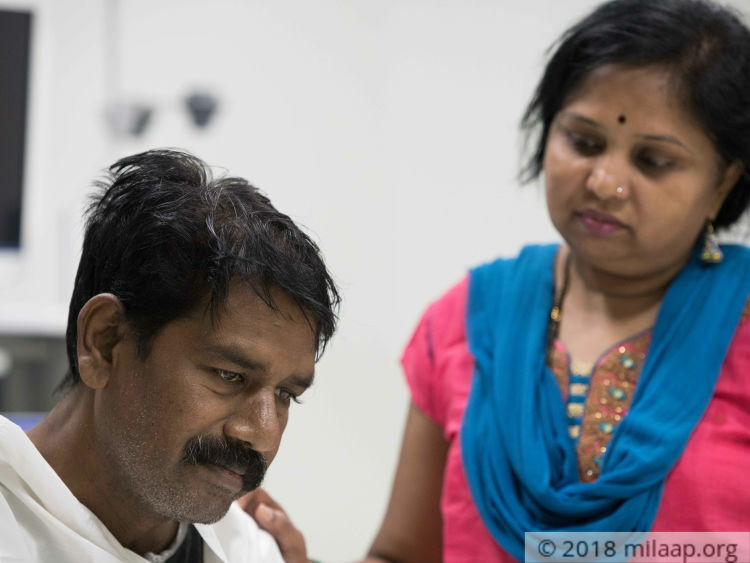 44-year-old Sushil’s condition is getting worse with every passing day because both his kidneys have completely failed over a year ago. 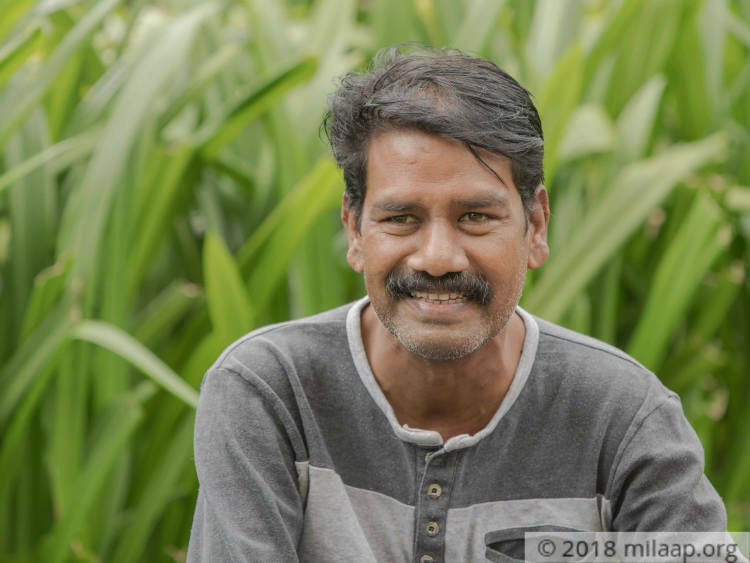 From a healthy, kind and extremely helpful man, Sushil has now been reduced to someone who needs help to even walk normally. He's now in an urgent need of a kidney transplant. 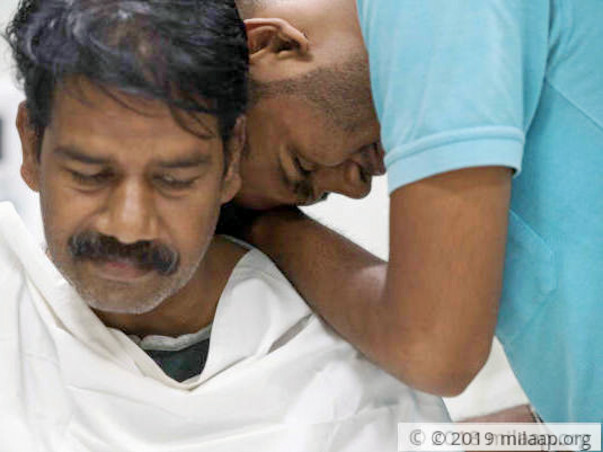 Depressed and helpless, he and his wife, Lakshmi, have absolutely nothing left to afford the life-saving transplant. In addition to the numerous complications, Sushil also needs blood transfusions to stay alive. 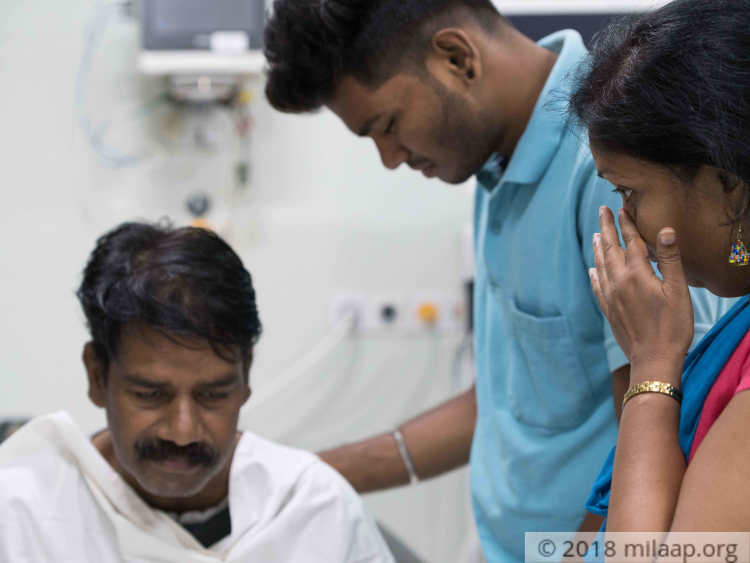 Now, with his condition deteriorating with every single day, the 44-year-old’s only hope for survival lies in undergoing an urgent kidney transplant. 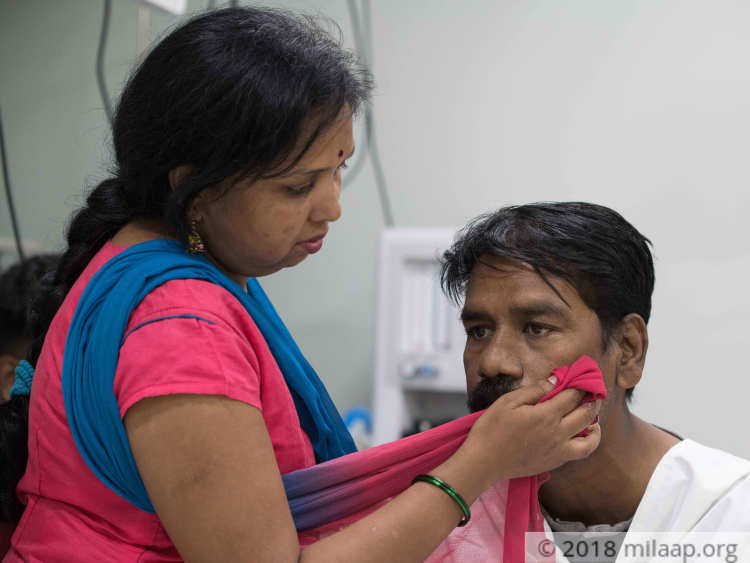 He was supposed to undergo the surgery last week, but Lakshmi and Sushil have exhausted everything they had. After struggling for over a year, Sushil finally started feeling better and started working too. But, in March 2017, his kidneys failed all of a sudden. Sushil worked as a driver, earning Rs. 300/day. Kidney failure has left him so weak that he is unable to work or do any household chores. Until now, Lakshmi and Sushil have borrowed over Rs. 4 lakhs for his treatment and are now neck deep in debt. 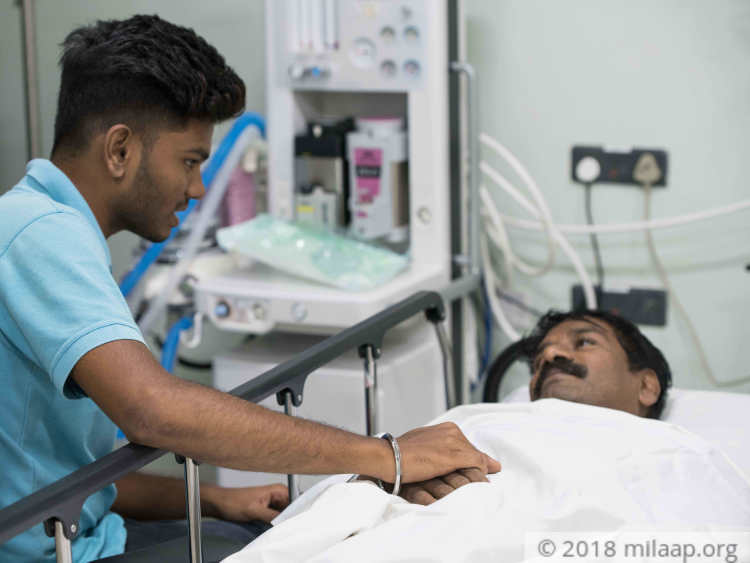 They have sold everything they had and are left with nothing to afford the life-saving transplant that Sushil needs next week. With failed kidneys, Sushil is slowly dying. He and Lakshmi are in dire need of Rs. 6.5 lakhs to save his life. They cannot do this without your help. Your support can save 44-year-old Sushil and ensure that he is able to work hard for his family. We are happy to inform you that Sushil has been discharged and is doing better now. He will be coming for follow up visits to the Doctor. We will keep you posted on his progress. Thank you so much for the support you have shown so far. Thank you so much for the support you have shown towards Sushil so far. 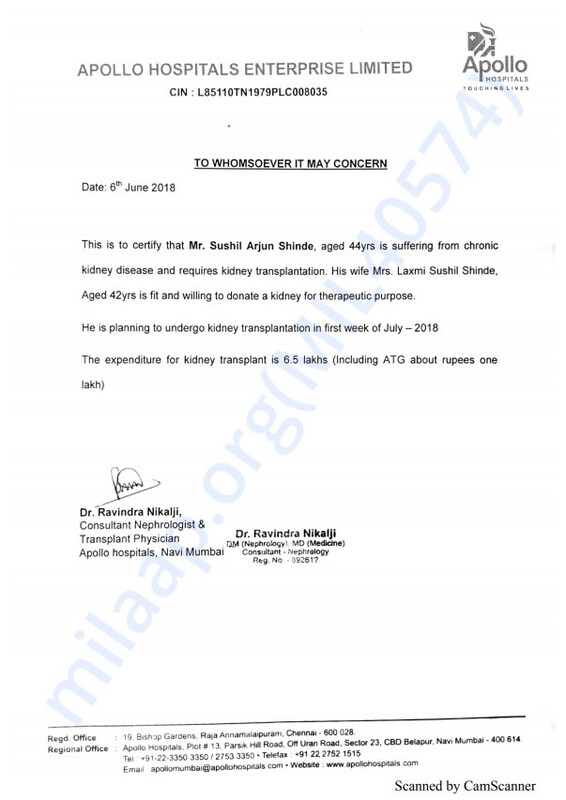 This is to inform you that Mr. Sushil Shinde has undergone kidney transplant on 21st July. His wife donated kidney, she got discharged but patient is still hospitalised. We will keep you posted on his progress so far.